Without too much of talking, let’s have a look at some questions you will face in your teaching interview. Short hints explains why the interviewers use a question, and what you should focus on when answering their question. Let’s start! Q1: Why do you think you can become a good teacher? Q2: Why do you want to work here, and not at some other school? Q4: What are your salary expectations? Q5: What are the current trends in Mathematics (Physics, Chemistry, Literature)? Q6: If you teach a lesson and your students don’t seem to be “getting it,” what do you do? Q7: What do you expect from your students? Q8: What do you expect from the administrators and from the principal? Q9: How would you approach the students of the first class, on their first day at school? What would you say? Q10: What teaching methods do you prefer and why? Q11: What are your hobbies? 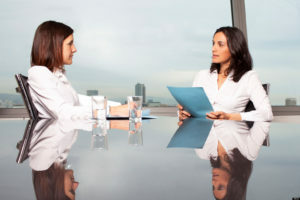 Interviewers try to understand your view of yourself, and of the job of a teacher. Your goal is to convince them that you understand the importance of your teaching role, and know what it takes to become a great teacher. You can say that you believe that teaching is a mission, not a profession. You can also point out that you strive to be a good role model for the students, and that you understand young people and their outlook of life (or at least try to understand it). You can also say that you constantly try to improve your knowledge of teaching methods, and try them in practice, to improve your teaching skills, and become a better teacher. Most people working at a school (especially the administrators) are proud of their educational institution, and they know a lot about it. They actually expect the same from you, and they want to hear that you have a clear reason for your choice, and did not apply for a job with them by a chance. A good pre-interview research should help you to find a good answer to their question. It can be an excellent reputation of their educational institution, the study programs that resonate with you, their values and goals, simply anything you can praise, anything that resonates with you and with your values. Checking their website, their social media profiles, and what the local press said about them, is a great way of understanding the strengths and weaknesses of their school. Whether you apply for your first job, or have ten years of experience under your belt already, you should find something positive about your teaching experience, about your experience with the students. Tell them that you enjoyed teaching, you can even tell them a story (a good story is something the hiring committee will remember long after you left the interview room) about how you helped a particular student in their life. You should focus on the value you brought to life of the students you led, and to the educational institution you worked for. Show them that you are oriented on the results of your work, and the impact you have on other people at school, and do not think only about your salary and personal goals. 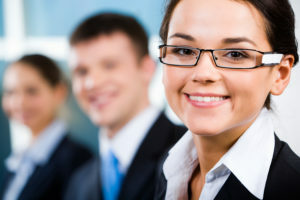 * May also interest you: How to dress for your interview – Four rules to consider when choosing clothes to wear. Most school will follow the salary tables, and they will do so invariably with each new hire. Unless you apply for a teaching job at a private institution, you can hardly negotiate a better starting salary in your interview. Nevertheless, you should demonstrate that you strive to improve on both your teaching skills, and knowledge of the subjects you teach. Check the latest trends, read something about teaching methods, and get ready for this question. You can even tell them that you attend conferences and events for teachers, to stay on the top of the game (perhaps you attended just one such event in the last five years, but it doesn’t really matter–you can still say that you attend the events). Do you consider yourself a perfect teacher, or can you admit making a mistake from time to time? Are you flexible enough to change the way of teaching in a course of a lesson, and are you willing to do so? Do you blame the children, and expect them to change and improve on their own, or do you rather try your best to explain the topic in a most simple way for your audience? You should try to convince the hiring committee that you always focus on yourself. If something does not work as planned in the lesson, you will try to improve the way you teach, you will change the teaching method, and you will collect the feedback from the students, trying to find the culprit, and to explain the lesson in the best possible way. Good teacher does not expect much from their students. They expect a lot–but from themselves. You can say that you expect a good level of discipline, and engagement, but you should stress that you understand it depends mostly on you, on the quality of your lessons, and whether you can awaken the interest of your students. Show the interviewers that you try to control what you can control–the way you teach, and connect with your students. You should keep your answer professional, and avoid touching any person sitting in the hiring committee. I suggest you to say that you don’t have many expectations, and focus mostly on doing your own job well. On the other hand, however, it is not a bad idea to show that you are a team player, someone who cares for their colleagues, and tries their best to help them in their job. All of us have the same goal at the end–to make the school a great place for everyone (or at least we should have this goal). First day is a stressful experience for both teachers and pupils. Try to show the people in the hiring committee that you have a plan. The exact words of your speech are not important. Your attitude matters. Show them that you approach the first day cautiously, preparing for it in advance, and minimizing a chance of negative surprises. The hiring committee does not expect to hear a perfect speech from you in the interview. They just want to see that you care, that you understand the feelings the students experience on the first day, and that you know how to address them. The key is to show the hiring committee that you have a knowledge of various teaching methods, that you do not stick with one method, just because it is the most convenient one. You can even talk about some innovative and unorthodox methods, demonstrating that you keep your knowledge up to date, and keep you eye on the new trends in teaching. The most important thing is to stress that you can adjust your selection of teaching methods to the situation in the classroom, and the lesson you teach, and that you plan to do so, to ensure the students will get the most out of your words in each lesson. Different people lead teaching interviews. Vice principals, principals, or other people from school, people from agencies, anyone! These people are often good teachers and education administrators, but they aren’t professional interviewers. Therefore, you can expect to get one or two informal questions as well, something that is not typical for most other interviews. Most teachers have adequate qualification. If a few of them meet in an interview, and some are well prepared, the personal preferences will decide the winner at the end (unless there is someone who is prepared exceptionally well, and manages to outclass their competitors). For this reason, it’s good to have something in common with your potential colleagues, with the people sitting in the hiring committee. Try to name more things, more hobbies, and do not forget to stress that teaching is your greatest passion. Show them that you are an open-minded colleague, someone it is a pleasure to spend time with, both in and outside of work. * This post is a guest blog (edited by our editors before published). The author of the content is Glen Hughins, a reputable interview coach with a background in education administration. Glen has written an excellent eBook that covers twenty-eight most common question you may get in your teaching interviews. He analyzes the questions, and offers multiple brilliant answers to each question. Go to the following page to read the sample and possibly order a discounted copy: http://teacher-interviewquestions.com/teacher-interview-questions-answers-time-ace-interview/. Teaching and education interviews – List of articles that analyze interview questions for a variety of specific job titles in education and in related fields. Body language in an interview – What do your gestures and movements say about you? Can we control our non-verbal communication? Learn more about your non-verbal communication, and how it reveals your emotions and attitudes. Recruitment Consultant and Interview Coach from Philadelphia, Glen had worked as a school principal for fifteen years, before he started his career in recruitment consulting and interview coaching. He contributes to Interview Penguin with articles about careers and interviews in teaching, and in educational administration.